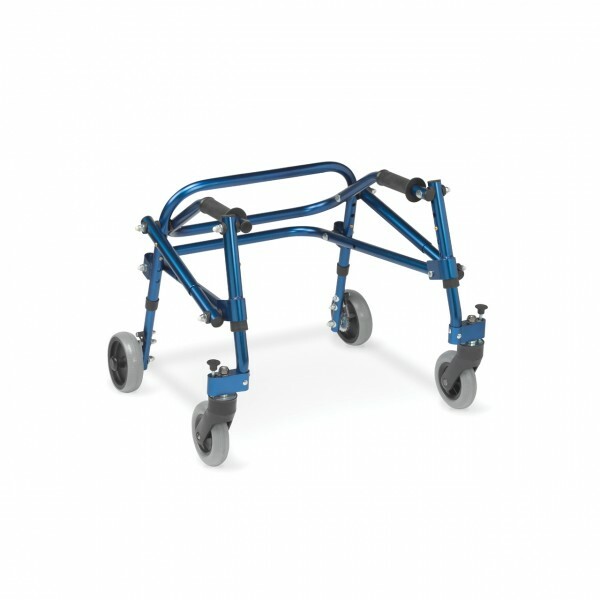 The Nimbo Posterior Walker provides users with needed support for better ambulation. The Nimbo is lightweight, height adjustable, and folds for transport. The 5″ front and rear wheels are soft rubber wheels that can grip any surface and will not slide backward. The rear wheels can be set to forward rolling only for those with limited ambulation ability. Smooth texture handgrip increases comfort while using the walker. Height, depth and angle adjustable, the forearm platform provides proper arm support. The width-adjustable pelvic stabilizer includes a pelvic belt and provides stability to the pelvis for better ambulation.